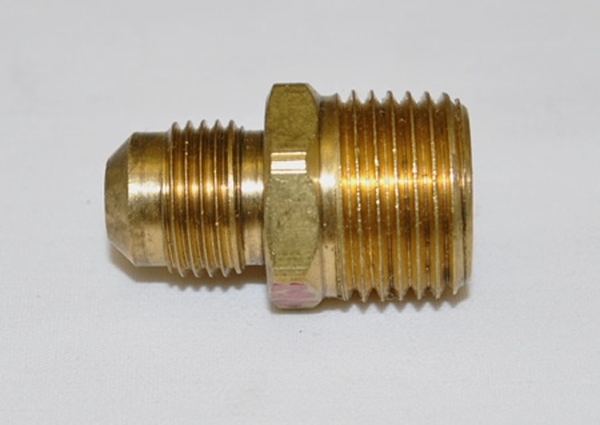 Constructing a safe, dependable gas supply line is not difficult when you use good quality parts like this male connector that is made by Hearth Products Controls. It is constructed from solid brass for durability and has a 3/8" tube with 1/2" male pipe threads. Installing this connector on one end of a flex gas line and the appropriately sized female connector on the other creates the perfect item for your new construction or repair project.